Hailing from Genoa, Italy, architect Renzo Piano’s imposing body of work, including The Whitney Museum of American Art in New York, The Shard in London, and the Centre Pompidou in Paris, is enormously influential. His approach to building design is intricate and refined, exhibiting a clear sensitivity to the environment and paying careful consideration to the user experience. As a child, Piano was expected to follow his family’s tradition of building, as his grandfather had created and owned a masonry enterprise. Instead, he chose to study architecture, and attended school in Milan. Between 1965 and 1970 he worked for American architect Louis Kahn, and at the age of 34, he and British architect Richard Rogers, won the design competition for the Centre Pompidou. After the completion of the building, he worked alongside engineer Peter Rice for four years before founding the Renzo Piano Building Workshop (RPBW) in 1981. Open until 20 January 2019, The Royal Academy of Arts is holding an exhibition entitled, Renzo Piano: The Art of Making Buildings, the first comprehensive survey of his career to be held in London since 1989. The exhibition offers an overview of the architect’s practice through sixteen of his most significant projects, dating from his early career when he was experimenting with innovative structural systems, to the signature buildings of the present day. The exhibition also features rarely seen drawings, models, photography, and a new film by Thomas Riedelsheimer. 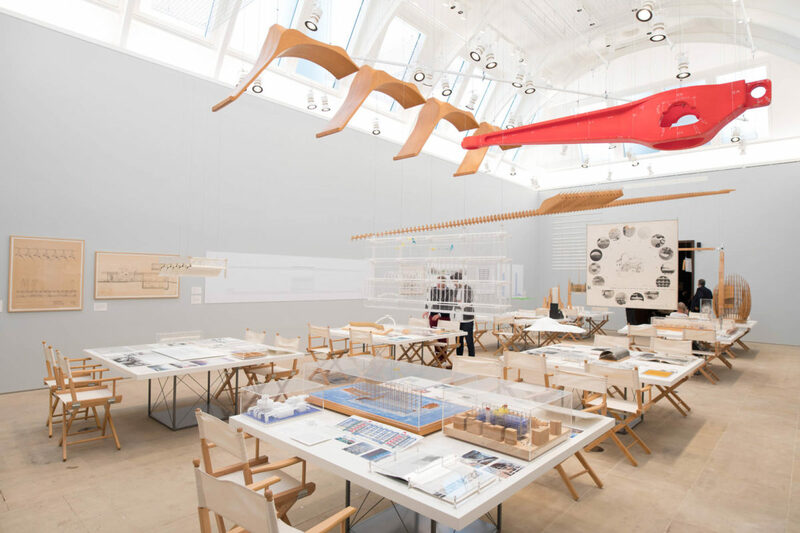 Renzo Piano: The Art of Making Buildings is curated by Kate Goodwin, Head of Architecture and Drue Heinz Curator at The Royal Academy, along with Renzo Piano and RPBW. Piano’s work is rooted in the classical traditions of his upbringing in Italy, with a strong eye for detail and a genius for balance and context. He understands that architecture is ultimately a space for people to live, work, and interact, designing buildings “piece by piece,” making deft use of form, material, and engineering to achieve a precise yet poetic elegance. He holds a command of his entire process, from the structural systems to individual building components, designed for technical performance as well as aesthetic and haptic qualities; Piano’s work is high-tech and bold within the world of Postmodern design. 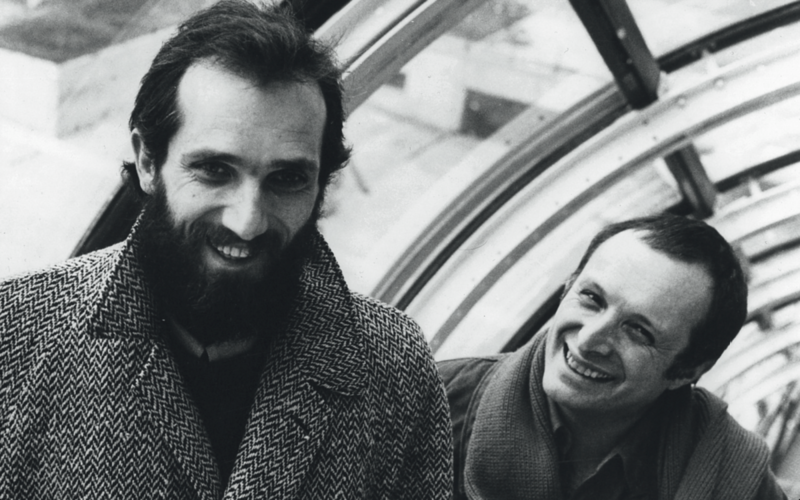 Throughout December and January, as part of Renzo Piano: The Art of Making Buildings, the Royal Academy of Arts will be holding a series of talks and screenings on the architect’s work and pervading influence. On 14 December, a debate exploring how technological developments have transformed architecture and the ways in which practice can foster its relationship with technology today, will be held by various architects and engineers. Another discussion, held on 14 January, looks at the instrumental Menil Collection in Texas, which was the first major project undertaken by Piano’s firm. Hosted by architects Peter Buchanan and Shunji Ishida, they will discuss the project’s importance, as well as the evolution of Piano’s works over the years. Book tickets here.